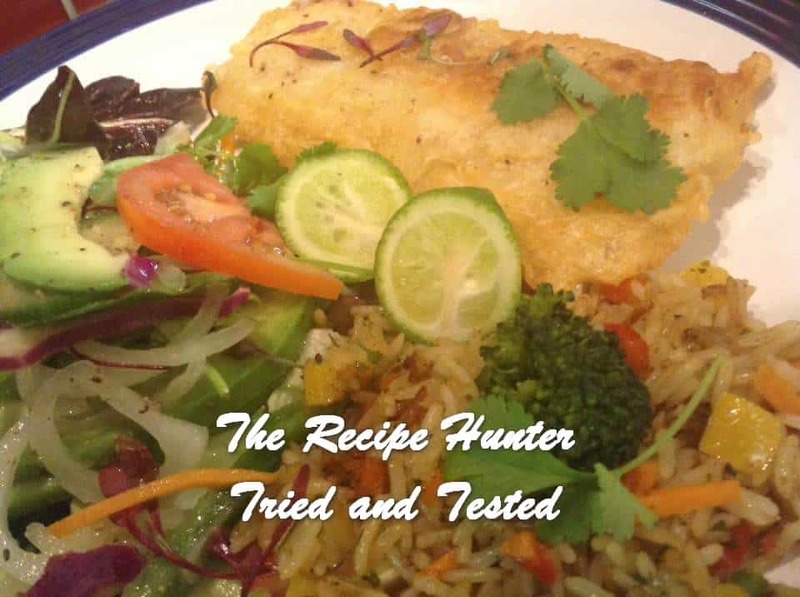 Battered Hake fillets with salad and veggie rice, it’s so quick & simple. No slaving required here😀😀Yums!! 850 g filleted hake fillets, skin removed and dipped in a bowl of cold water and 1 tbsp lemon juice. Season with fish spice, garlic salt, sprinkle of garlic & herb seasoning, black pepper and sprinkle of garlic flakes. Whisk above ingredients together until you get a batter thick enough to coat your fish fillets. Coat fillets in batter and fry in sunflower oil until golden & crispy. Drain on paper towels. Serves 3.